List of Penny Stocks - How to Create Best Portfolio? List of Penny Stocks – How to Create Best Portfolio? Penny stock market has always been highly volatile and controversial. We have always been hearing penny stock fortunes stories along with penny stock bankruptcy ones. While some stock analysts think that one has to be out of his mind to trade within a penny stock market, others feel like there’s no better time to buy into major companies that have recently been delisted from NYSE for non-compliance with standard regulations due to their financial difficulties. Regardless of what your incentives are for deciding to trade pink sheets penny stocks, devising a solid penny stock portfolio is a must. 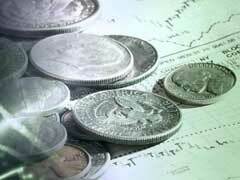 Penny stock portfolio is simply a list of penny stocks you have compiled based on prior research and analysis. First of all, your penny stock portfolio should not amount to more than 10% or your overall investments due to its high risk character. This rule is fundamental and should not be broken to avoid major financial difficulties. Should your penny stocks go down in prices, at least you will only be losing 10% or your total investment package and not all of it. Initially, if you are a novice penny investor, you should definitely get help with creating your first list of penny stocks to watch. You could get help from a myriad of online penny stock screeners, analysts and penny stock online services. Make sure you pick a reputable source for providing you with hot penny stock picks. We recommend you check out the following websites that provide no nonsense advice and analyzing tools to help you create your list of penny stocks: Knobias, Microcap Markets and Qwoter. After creating a preliminary penny stocks to watch listing, you need to definitely check out each and every penny stock company included in it to see if the numbers make sense to you. Please refer to our article Penny Stocks for Dummies: 10 Tricks to Learn to help you gain more understanding what to look for in a penny stock company. Some penny stock analysts feel that green penny stocks are the most promising types of stocks you should definitely look into. Green penny stocks are issued by companies that are deeply involved in research and development of renewable energy sources that will help us stop dependence on fossil fuels energy sources that caused global warming issues. Our final word of advice on compiling your list of penny stocks will reflect the importance of risk diversification. Stay away from including too many one industry companies in your list of penny stocks since single industry companies usually follow the same trend.